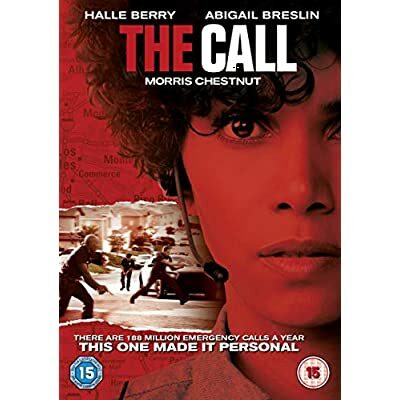 Veteran 911 Emergency Call Center operator Jordan (Halle Berry) has the kind of job that's not for the faint of heart: navigating the public's distress in order to save lives. But when a young woman's frantic report of a prowler ends tragically, Jordan is devastated. Reassessing her life, Jordan wonders if perhaps she's experienced her last fraught-filled phone call. With a supportive cop (Morris Chestnut) for a boyfriend, maybe it's time to step back, enjoy life, and teach others the ins and outs of her high-pressure profession. That lifeline to strangers isn't over yet, though. When average American teenager Casey (Abigail Breslin), is abducted by a serial killer (Michael Eklund), she manages to place a 911 call from the trunk of the killer's car. Jordan, leading a group of new recruits through the massive Call Center operation, is in earshot of the call. It's an all-too familiar scenario for this experienced public servant, but before long, Casey's situation reveals itself as eerily, shockingly familiar. There's only one thing Jordan can do: take charge in a way she's never done before. She must turn Casey into a partner in helping them track down the killer, and prove that this call is Jordan's calling.